Discussion in 'GameMaker Studio 2 Community Tech Support' started by Pineapple Lake, Jan 20, 2019. 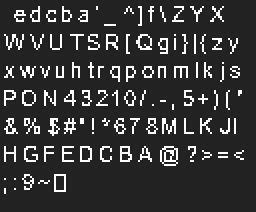 I'm trying to make the big leap from GMS 1.4 to 2, but I keep running into a problem with my fonts. For some reasing my fonts are rendered differently in GMS 2, making them look shaky and weird. The problem lies with rendering the font texture pages (not in-game). 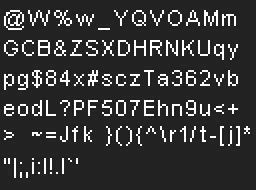 My font is Arial 8, no anti-aliasing. Looks nice and crisp right? Does anyone have an easy solution for this problem? MarceloP and LamePower448 like this.